Sometimes the best places can be right in our backyard. 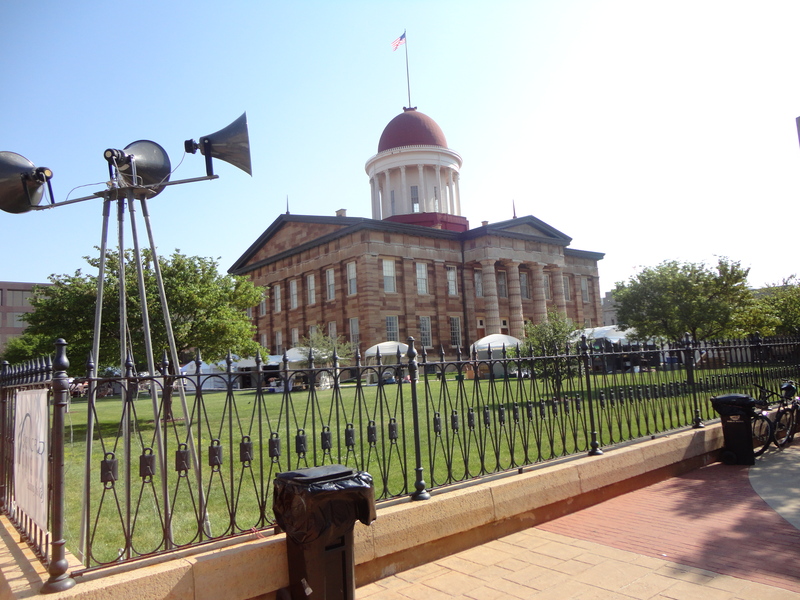 Every year Springfield, Illinois hosts a fine arts fair around the Old State Capital. The historic building is a beautiful background for the artists that set up with their pottery, paintings, jewelry and more. Along with the art fair, the farmer’s market lured us to check out their wares and contemplate fresh fruit, baked bread and those fresh ingrediients that make the best meals! Next Post: Florida Flywheelers plan ahead for a winter getaway.